Olive GardenOlive Garden is offering two types of pasta pass this year. Olive Garden’s never-ending pasta passes are going on sale on Thursday at 2 p.m. ET. For the first time, Olive Garden is selling an annual pasta pass that provides unlimited pasta for an entire year for $US300. The chain is selling 1,000 annual pasta passes and 23,000 passes that grant the holder eight weeks of never-ending pasta. Olive Garden’s never-ending pasta passes are an unmitigated hit. Last year, the passes – which provide holders with eight weeks of unlimited pasta, soup or salad, and breadsticks – sold out in less than a single second. This year, Olive Garden is raising the stakes. On Thursday, August 23, Olive Garden is putting 23,000 pasta passes on sale for $US100 each at 2 p.m. ET. It’s 1,000 more than the company sold last year. 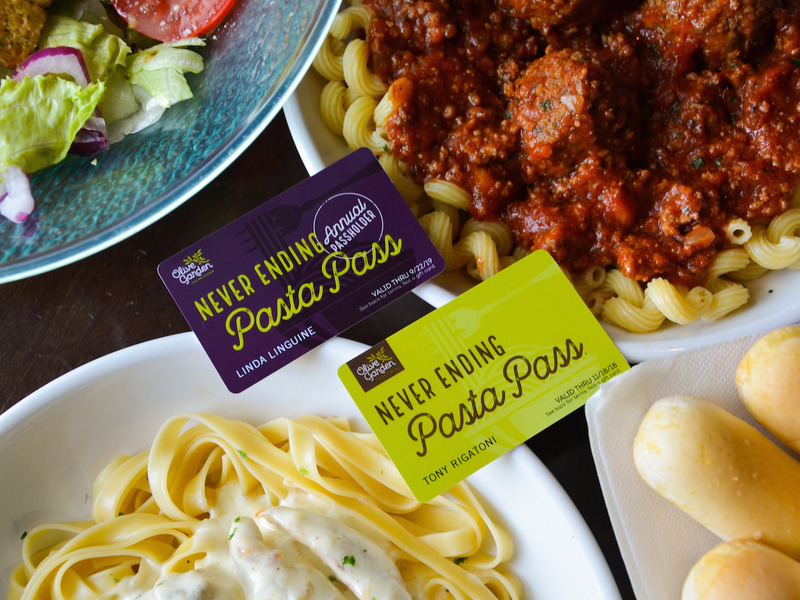 In addition to the eight-week passes, Olive Garden is selling 1,000 passes that will give holders unlimited pasta for an entire year for $US300. Olive GardenThe annual pasta pass is valid until September 2019. “Our super fans have turned this into a phenomenon,” Jennifer Arguello, Olive Garden’s executive vice president of marketing, told Business Insider. Olive Garden’s solution is the introduction of the annual pasta pass. While only a thousand lucky people will be able to claim unlimited pasta for a year, Arguello says the pass is truly endless. If holders want to go eat pasta three times a day, they are more than welcome to do so, with Arguello saying she hopes that someone will pass the benchmark of eating 1,000 meals at Olive Garden in a single year. However, with 22,000 passes selling out in less than a second last year, only the Olive Garden lovers with the fastest fingers will have a chance at a year of unlimited pasta. Be ready. Passes go on sale at 2 p.m. ET on Thursday, August 23. Have multiple devices on hand. Arguello said that having a group man multiple devices – laptops, desktops, and mobile phones – can help optimise chances. Know what you want. 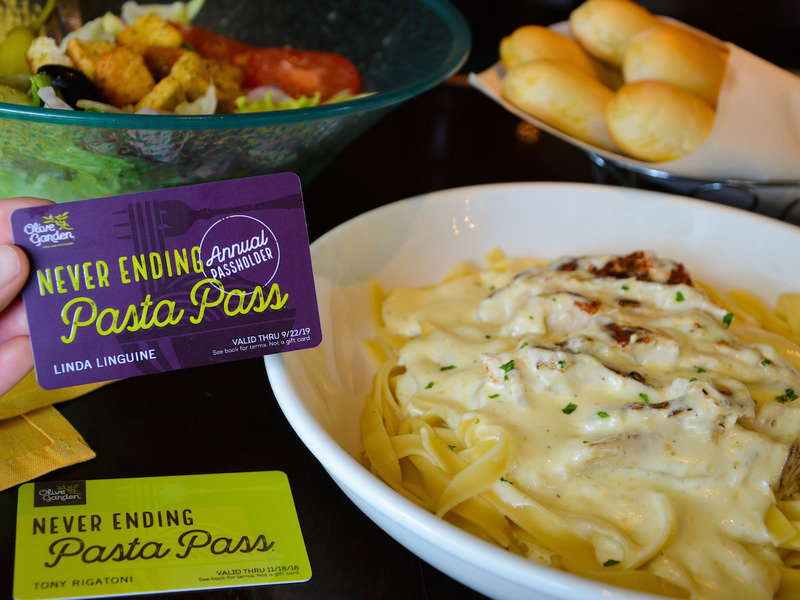 “You’ve got to make a choice: ‘Am I going for an [eight-week] pasta pass or an annual pass? '” Arguello said. Don’t refresh. Refreshing can seriously hurt your chances.